This is an anniversary month. Just 26 years ago, I met my husband. We went from meeting to marrying in 51 weeks. Only 1 year ago, blogging popped into my imagination and Jittery Cook took off. I am looking forward to a month of mini celebrations. A special thank-you to Marvin for putting up with Jittery and me, and to Jared, Erin, Adrianne and Andrew for being the ones we adore. 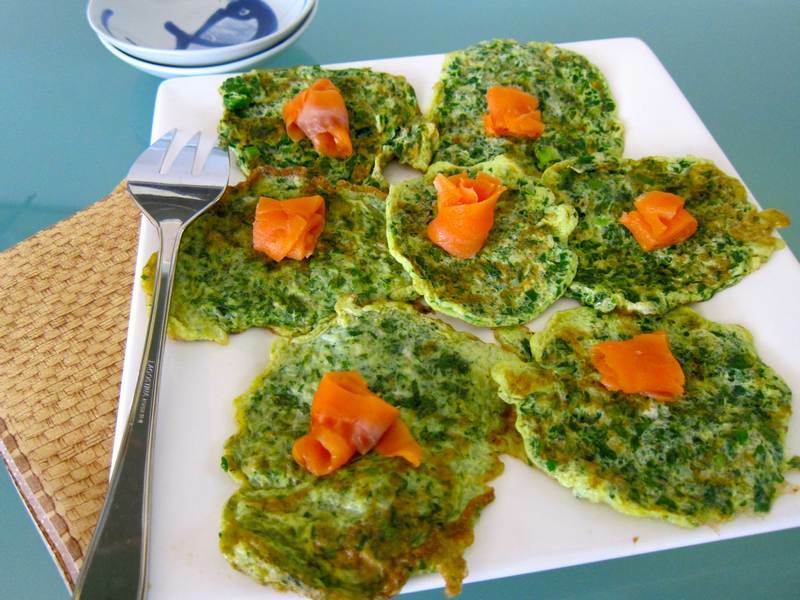 Now’s the time to segue into Parsley Omelet with Smoked Salmon. Hmmmmm. The best I can do is: Cake is overrated. Why not celebrate our anniversary with a jewel like Parsley Omelet with Smoked Salmon and a glass of champagne? It’s the new blinis and caviar. Mix parsley, scallions, garlic, salt and pepper. Add eggs, blending everything together. Heat butter in a skillet. 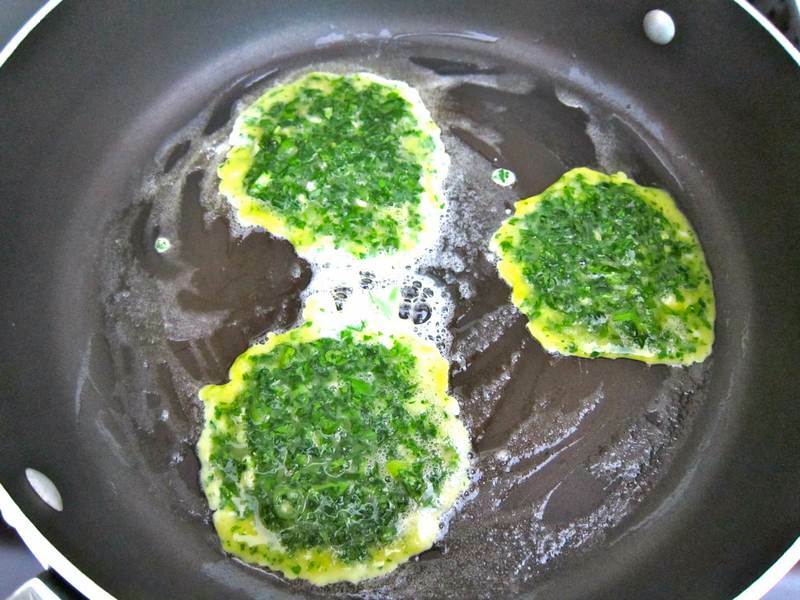 Cook 2 tablespoon-sized omelet cakes, 2-3 inches large, flipping as edges golden. Add butter as required. Serve warm or room temperature. Garnish with smoked salmon slices. May also be made as 1 large omelet. Serves 4. Armenian, Lebanese and Persian cuisines speak to me. Middle Eastern food just tastes so darn good. 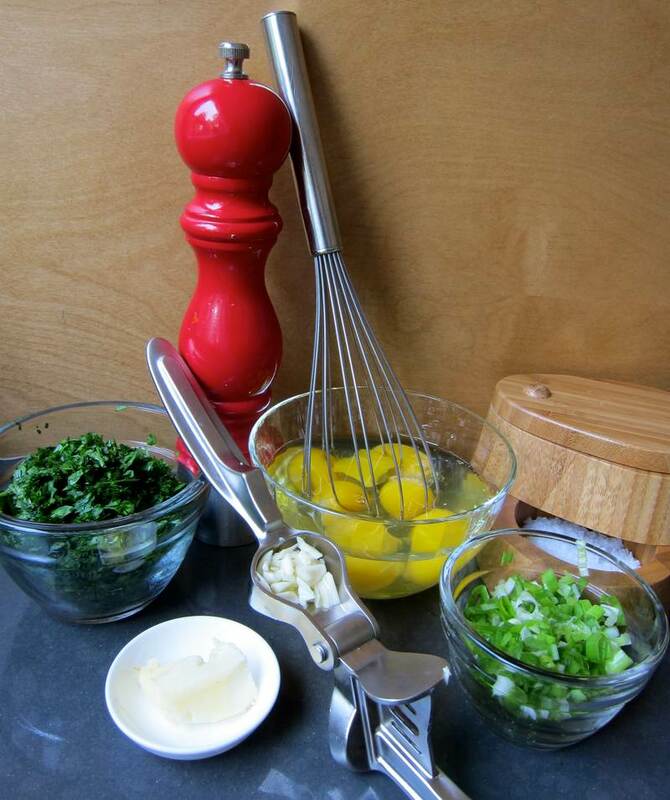 Parsley Omelet is adapted from the comprehensive, well written Secrets of Cooking, by Linda Chirinian. I have to remember that phrase! Well put! Many thanks.